You’ve been practicing in your bedroom for a few months now, recorded several mixes and grown to feel pretty comfortable behind the decks. Time to get out there and start pitching yourself to the clubs! Granted, playing records at home keeps you safe and comfy, but it’s only on a real dancefloor that you can share your music with others and taste the incredible joy of DJing. In order to get a gig at a club, you’ll have to become pretty good at marketing yourself. To any party promoter or club owner, you as a DJ are just a commodity in a pretty saturated marketplace. This means that to sell your services, you’ll have to exert some effort. In this article, I’m going to tell you about the three secrets that your strategy for getting club gigs should be based on. For each of those secrets, I have provided real life examples, one of which is my own. So read carefully, apply these tips (that’s the most important part!) and you’ll get to play a real party in a heartbeat. I promise. 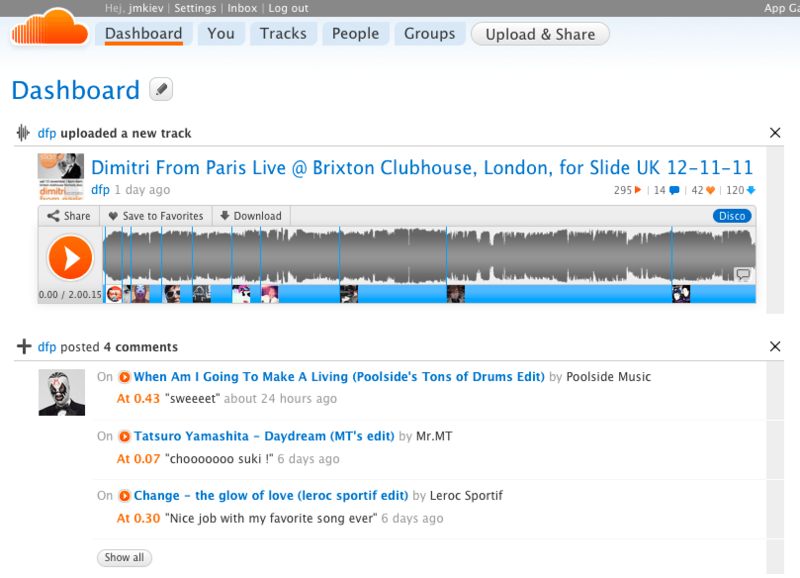 Upload your mix to the Internet and spread the word on dance music forums. Tweet about it, launch a small promotional campaign on Facebook… You got it. Use any opportunity to DJ. DJing is all about knowing how to drive a dancefloor, so make sure you seize all opportunities to play for other people that come your way. Two hours of spinning records at a house party may teach you more about DJing than endless months of bedroom confinement. Oh, and don’t forget to take a your mix CDs with you – you never know who’s going to be there. Leverage the Internet. Launch a website. Put up a Facebook page. Start a blog and post about any cool records you come across, or the parties you’re playing at. Begin publishing your weekly Top 10 chart. Start your very own online radioshow, for God’s sake! 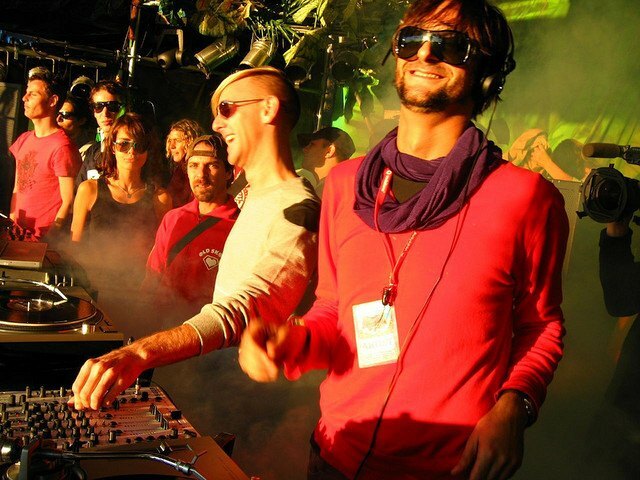 My DJing career had a slow start but it got a huge boost after I’ve adopted some of the self-promotion techniques mentioned above. It sounds embarrassing, but I’ve recorded my first mix CD a full 1.5 years after I started practicing in my bedroom. CD-Rs were much more expensive back in the day, so I had to borrow $100 from my best friend Alex to burn that first batch and get the covers printed. Shortly thereafter, I’ve launched my website, whose main goal was to promote the new mix. Even though the website was static (i.e. there was no new content being added), there was still a certain PR element to it. I’ve given out the CDs to almost all of my friends, and the news about the new DJ on the block spread instantly. Amazingly, before the mix came out, many of the folks I knew had no idea I was into DJing! Still, the real payoff came a year and a half later (talk about the slow start!) when I started cold-calling local clubs and getting appointments with the managers. At that point, I’ve already had two mix CDs and a website, and that definitely helped me land a residency in one of the best nightclubs in town. The rest is history. They say, “It’s not what you know, it’s who knows you.” Whether you like it or not, it’s all about the right connections, and that’s especially true of the hard-to-get-into DJ community. It’s tough to start DJing in clubs if you spend your weekends at home. You have to be in the loop, live the nightlife and have friends in the industry, be it bartenders, club managers or other DJs. So hang out! Make new friends. Read a book or two by Dale Carnegie if you have to, and begin to approach people. By the way, Internet comes handy here, too, because a lot of those club folks frequent the same online communities and websites. Speaking of making friends among DJs: More often than not, we’re a pretty suspicious species. DJs are very well aware of the glitter of the profession and are tired of newbies trying to make buddies with them just to get to the decks. It’s not about the ego – each of us simply wants to be interesting as a personality, not as a tool for advancing someone’s career. So stay away from talking about DJing, even if you’ve been introduced to the resident of a club you’ve been dying to get into. Show your sincere interest in that person, their hobbies, likes and dislikes. Become real friends with them. Sooner or later (I’m talking weeks here), the subject of music will naturally come up. That’s when you can mention in passing that you’re a DJ, too – and ask if your friend needs someone for the warm-up! Andrew (name changed) has been hanging out in clubs ever since he was a teenager. At first, he wasn’t even thinking of becoming a DJ, and so he didn’t have any ulterior motives to become friends with DJ Alf – the resident of one of the hottest clubs in the city. After a while, Andrew started helping his buddy at parties. He already had an understanding of what’s working on the dancefloor (because he’s been on so many of them), and easy access to the DJ equipment enabled him to master the technical skills quickly. Pretty soon, Andrew became the second resident of the club and was officially warming up before Alf. I’ve already mentioned that you as a DJ are a commodity that needs to be pitched to club managers. To lift that commodity status, you need a USP (unique selling proposition): a clear, unique benefit that you can offer to the buyer of your services. In any big city, there’s hundreds of guys calling themselves DJs, and tens of them spin music very similar to yours. Technical skills of the majority are at pretty much the same level, too. Why would then the party promoter choose you over everybody else? You’ll have to be able to provide a clear and convincing answer to that question. Don’t forget that the DJ is part of the show. Take Carl Cox, for example. 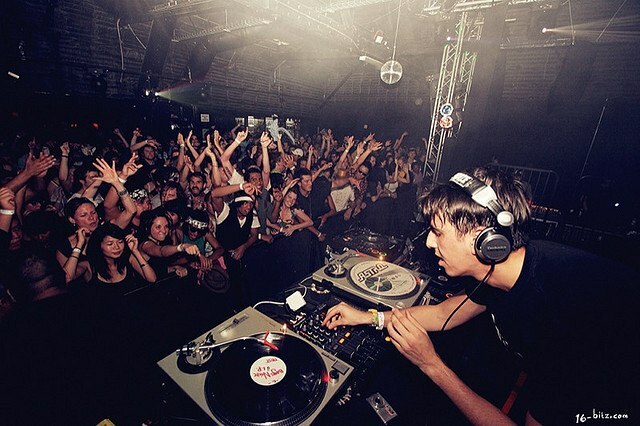 In the beginning of his career, Carl’s USP was being able to play on three decks at once, something that the “Three Deck Wizard” was certain to showcase in each of his sets. Or Niki Belucci: she’s got not one but two USPs (right and left, both real), and, even though she’s hardly a DJing genius, she knows how to pull a good show. What makes you stand out from the crowd? What makes you different? Why would someone want to go to a party you’re playing at, and would they be telling their friends about you afterwards? Find (or invent) your “thing” and use it whenever you can. Margo (name changed) loved R&B and made sure she never missed a good R&B party. Margo is a beautiful girl who dances well, and she was quickly noticed by a DJ promoter who was looking for new ideas. One word let to another, and in the end, Margo was offered to become the first female R&B DJ in town. And even though she still has a lot to learn as far as the technique goes, she already enjoys more commercial success than her boyfriend, a seasoned R&B DJ who has been spinning for years. 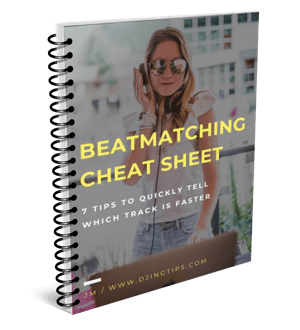 The three secrets I’ve just revealed are extremely powerful tools in promoting yourself as a DJ. But all of them are absolutely useless without one key ingredient: action. Even if you have your USP, are recording demos and meeting the right people – while sitting there and waiting for somebody to call and invite you to spin at a party – you better get sandwiches and a couple of good magazines because you’re likely to have a very long wait. Be proactive in offering yourself! Call clubs. Get appointments with managers and party promoters. Hand out your mixes… And don’t forget to invite me to that first gig of yours. Thank you for nice artsul. U guys r very Unique. Thumbs up…. Wow u guys re real dud I appreciate. Hi bro, you have an invitation to Easter Island, in piri bar, hanihani bar to to see me.